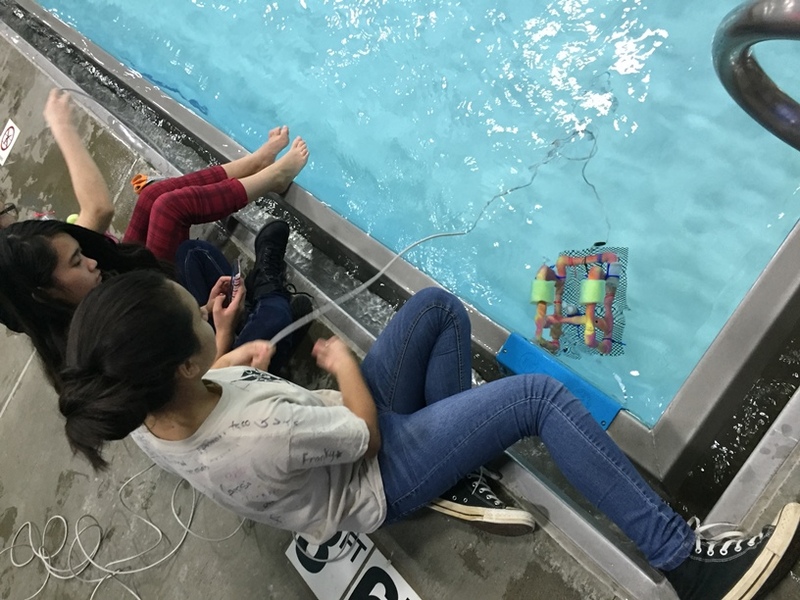 The SeaPerch program is where a team of three students build and maneuver an underwater robotic vehicle. No experience is required to join and this is a great opportunity for your students to see if they are interested in robotics. There is an instruction set and kit, but some students previously have gone beyond and re-engineered the designs. In 2015, one of our three teams made it to the SeaPerch National Challenge at Dartmouth College. In 2017, a second Nativity team, and their “LadyBug” SeaPerch, won first place and an invitation to the SeaPerch National Challenge in Atlanta, Georgia. We meet for a total of three Saturday mornings to build our robotics: two in November and one in December. There will also be several scheduled pool sessions to practice maneuvering their vehicle as well as a poster building session. The competition is scheduled on Martin Luther King Holiday, a non-school day, from 8am -12:30pm. Please keep an eye out for SeaPerch information and registration in the Nativity electronic Wednesday folder.